It will be my endeavour to keep the description as crisp as possible, the idea here is to empower you with enough information to choose and savour wines. Wine is a fermented beverage made out of grapes. Well it can be made from anything that has sugars but for anything other than grapes, the ingredient goes as a prefix. For e.g Plum wine, Pineapple wine, Rice wine. So when we just say wine it is understood that it is made from grapes. Made out of black grapes; these wines can come in a spectrum from very light bodied to highly robust wines. These wines are consumed between 12-18 degrees celsius. This is the European room temperature. So always leave your reds in the refrigerator for some time in India. These can be made out of white or black grapes. A white wine from a Black grape? Yes because in a black grape only the skin is coloured but the juice is not. So how does a Red wine get its colour? The skins are soaked in the juice for a day or two to extract colour and that is how. 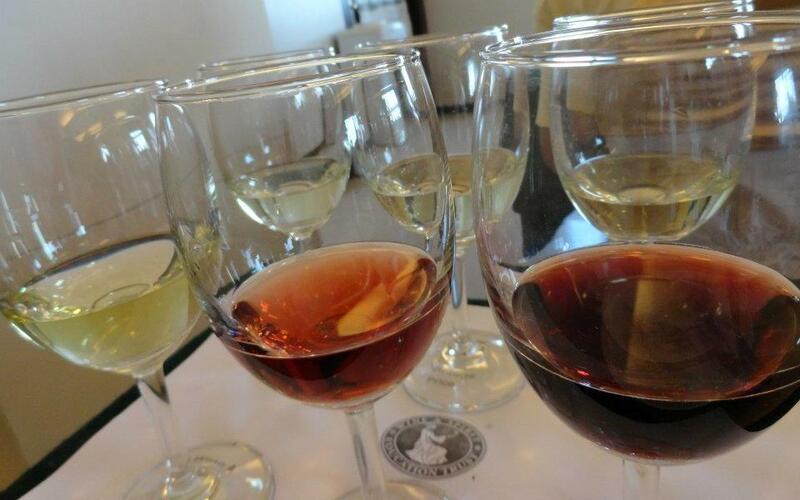 White wines are consumed at temperature ranging from 8-12 degree celsius, based on the style of wine. These are in-between whites and reds; the pink colour is obtained by soaking the skins for some hours. These wines are again are consumed at 8-10 degree celsius. The above three types are together called as still wines as these wines do not have trapped carbon-di-oxide and the fizzy wine does. C02 is a by-product of fermentation in still wines it is released and in sparkling it is not. When poured in a glass it the bubbles or the mousse give it a sparkling appearance. You can easily distinguish these wine bottles by their shape which is distinctly different from still wines. Have them chilled; if you want a number then it is 4-6 degrees. Champagne is the most famous sparkling wine. Fortified because these wines are fortified with spirit and hence the alcoholic percentage of these is anywhere from 16-22 % v/v. They may or may not be sweet, but all of those readily available over the counter in India are sweet ones. The famous ones are Port from Portugal (Port from Goa is an Irony! ), Sherry from Spain. Will end up writing a book if I were to blog about it, please browse through winemaking videos on youtube and enjoy a virtual winery tour! There are more than 5000 grape varietals in the world. It is good to know the pronunciations but if you do not then please go ahead and anglicize it. Pronunciations should not at all come between you and your wine experience. If you know jargons, great. if not then wine is a poetry,let it flow! Wine with very less sugar, to put a number; it is less than 6gms per litre of wine as opposed to a sweet which is more than 50 gms. The ones between the ends are called off-dry, semi-dry. 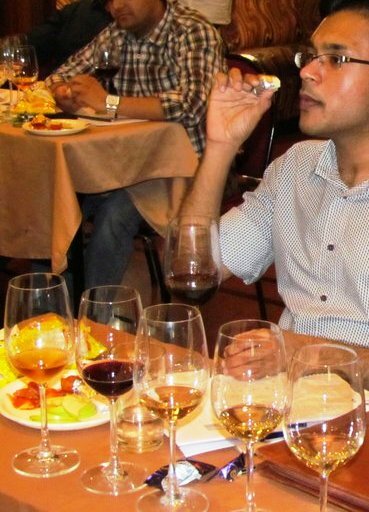 Many time people get awestruck by the sweet-smelling aromas from the wine and call it sweet when in fact the residual sugar in the wine is hardly any. 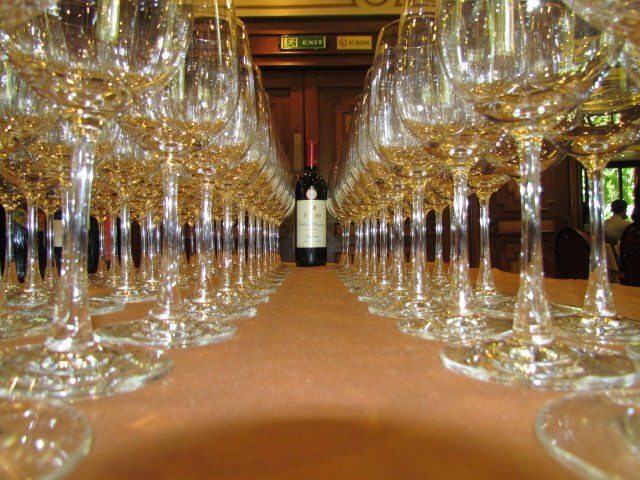 The body of a wine is essentially its weight on ones palate. For E.g. If you compare Water, Milk and Slice (The seductive mango drink), Water is lightest and Slice the heaviest. It is the one which causes the mouth to water. The next time you sip a wine, take notice of how profusely or not does your mouth water the more it waters the high is the acidity. This term in India is predominantly used for wines to indicate their aging over a longer period in Oakwood. Oak gives certain characters like vanilla etc which makes the wine more complex. But this term is not legally governed and hence does not have the same meaning across wineries when you see it on the label. Reserve wines are more expensive for sure. In my next I will try to highlight dos and don’ts of choosing a wine. Till then please let me know if you would want me to cover something! Selecting wine in a retail store! Thanks Satyanarayan. Hope I keep it flowing. Cheers! Nice Blog Ajit after a long time, all basics covered !